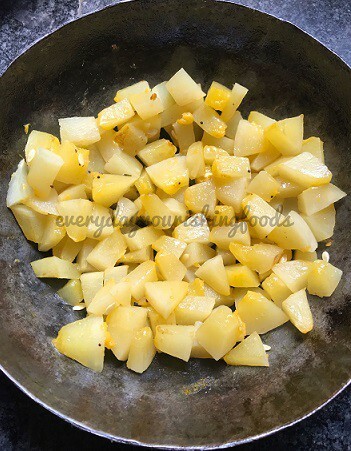 Dosakaya pachadi – Sambar cucumber or yellow cucumber chutney – a vegan Andhra style chutney recipe made with Sambar or yellow Cucumbers in a traditional mortar pestle. Dosakaya pachadi is my other favorite chutney which my Mother makes regularly at home. This will taste amazing with hot rice and a dollop of ghee 🙂 Will also be good as a side of roti or dosa. 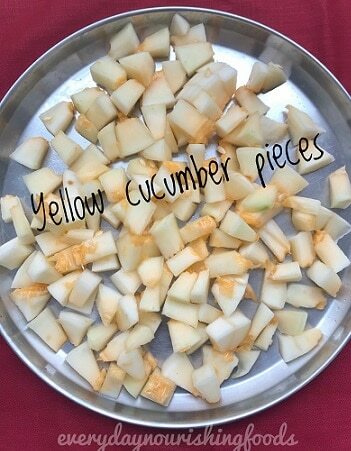 Sambar cucumber is also known as Madras cucumber, is grown extensively in South India. Unlike other cucumber varieties, this is not eaten raw. This will be sour in taste and will be good for pickles, chutneys, and Sambar. Please check this link for all roti pachadi or chutney recipes on this blog. 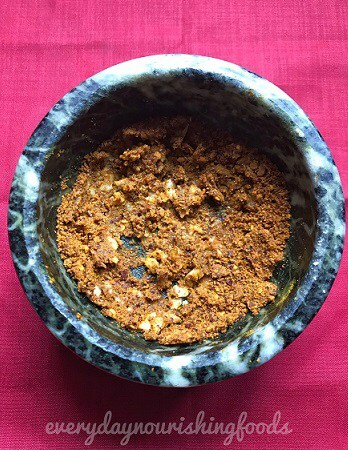 Andhra style traditional chutney recipe made with yellow cucumbers in a mortar pestle. Peel and chop the cucumbers into small pieces. 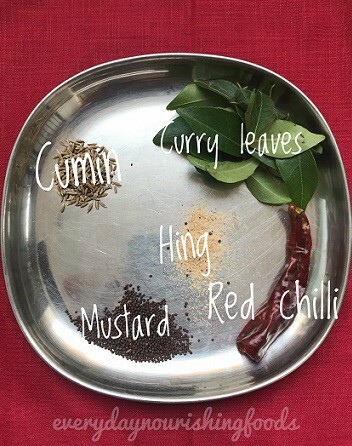 Keep other ingredients for chutney ready as shown in below picture. 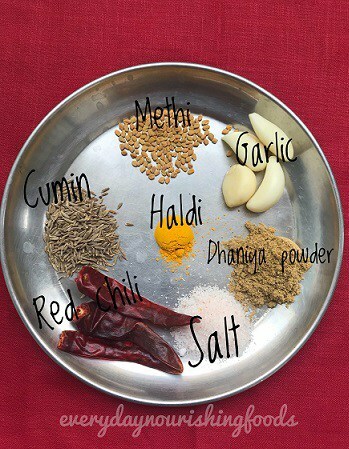 Heat a kadai and dry roast cumin and methi seeds. Add 1 tsp of oil and fry red chillis. 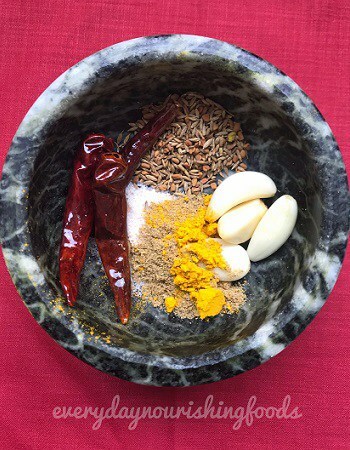 Add all these ingredients to mortar pestle and crush into a rough paste. Meanwhile, add another tsp of oil into kadai and cook chopped cucumber pieces. You can add water if these don't get cooked with their own water content. Cooking time depends on cucumber. It took around 10 minutes for me. Add cooked cucumber pieces to mortar pestle and mash it into a rough paste. Take all tadka ingredients and put tadka in remaining oil. Add tadka to above chutney mixture and chutney is ready to serve !! Meanwhile, add another tsp of oil into kadai and cook chopped cucumber pieces. You can add water if these don’t get cooked with their own water content. Cooking time depends on cucumber. It took around 10 minutes for me. Take all tadka ingredients and put tadka in remaining oil. Add tadka to above chutney mixture and chutney is ready to serve ! !